The most popular brand of fish food come from japan well known as Hikari. It come from a nation known for it's fine ornamental fish. 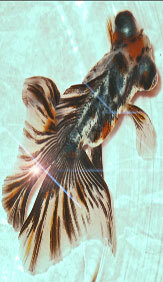 All fish hobbyists around the world now feeding their pets with Hikari. Hikari manufacture variety fish food in priority to improve overall health for your pets. Particular fish food products below are for goldfish, you can consider while choosing best food for goldfish.